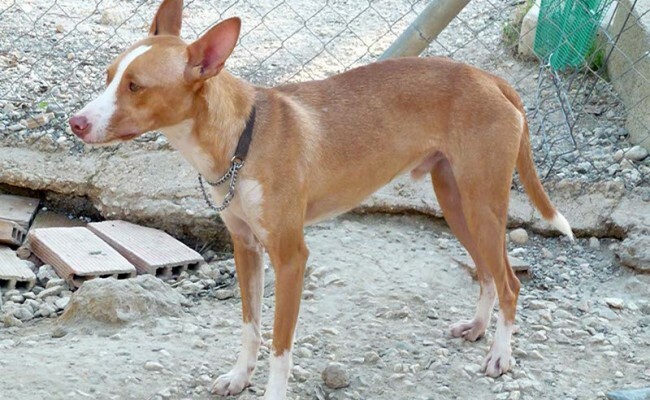 Kiko was found a stray and he was going to be taken to the pound but luckily our foster home rescued him and took him in until he could come to the shelter. 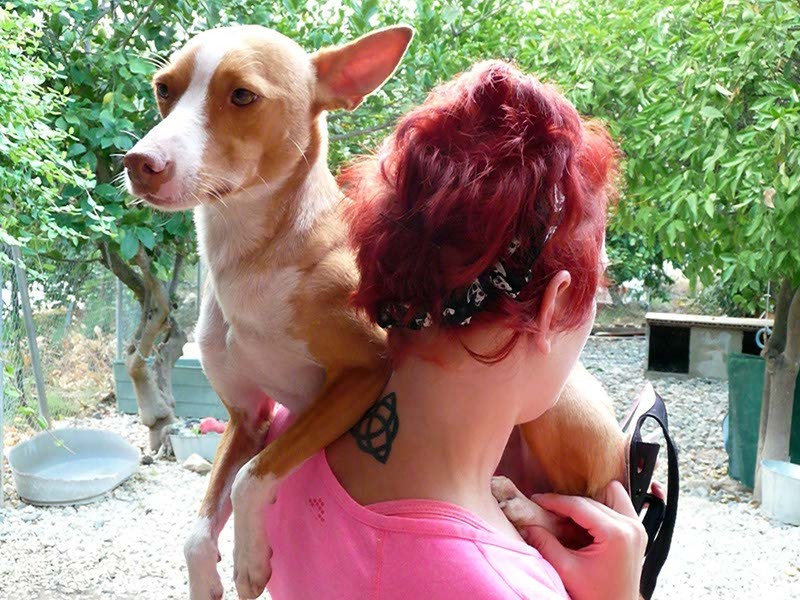 Kiko is such a lovely affectionate boy who just loves cuddles! 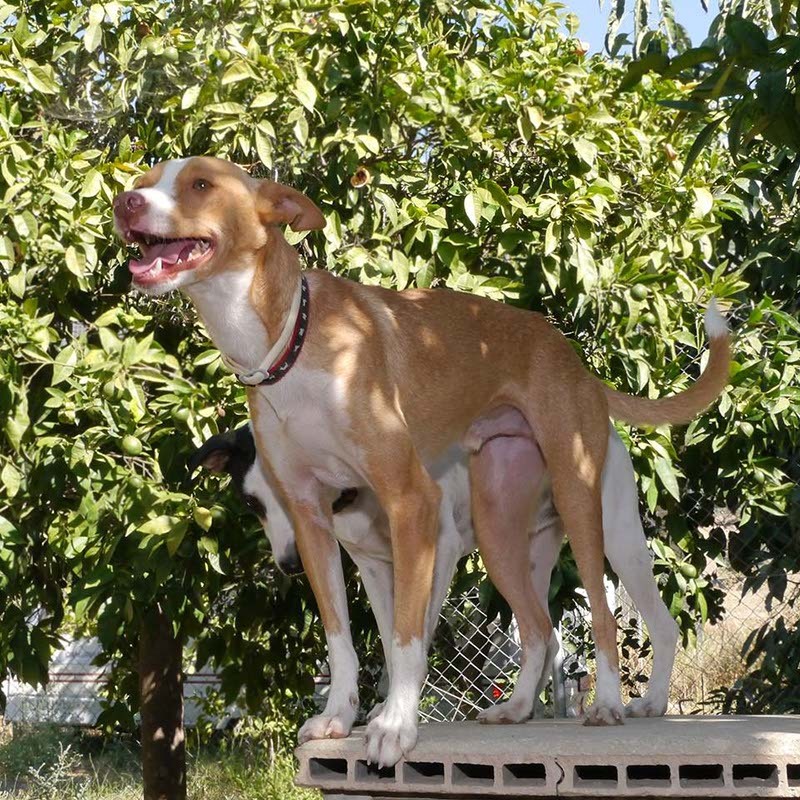 He has a real character and is a fun boy who will make a great companion. 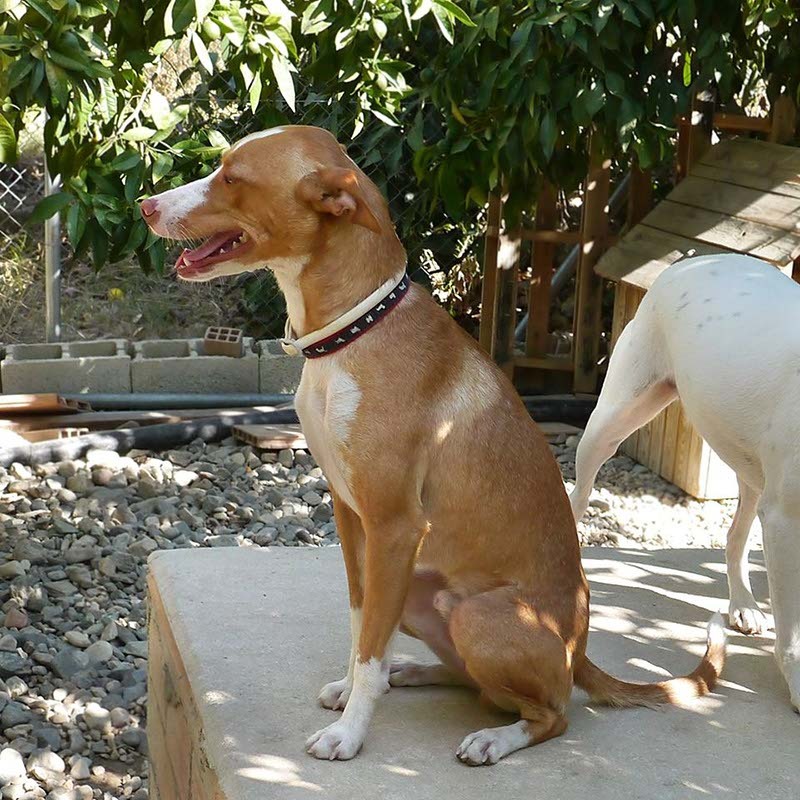 Kiko is good with other dogs too and currently lives with other dogs at the shelter. 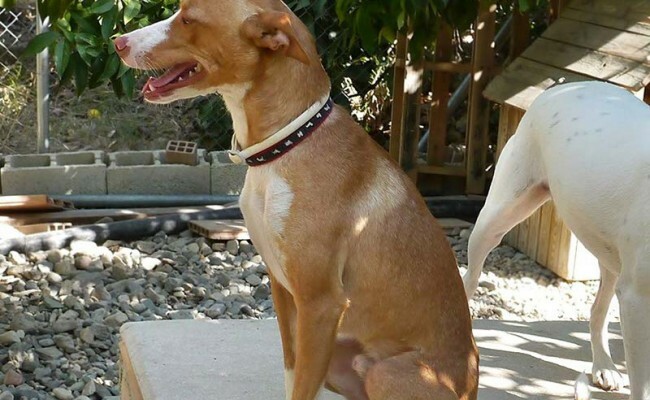 Sadly Kiko has been in our shelter for quite some time now, but when he was in his foster home he lived with 6 other dogs, cats and a pig and was great!!! 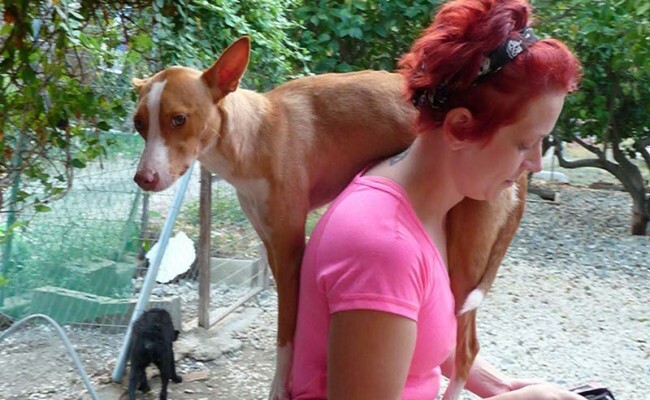 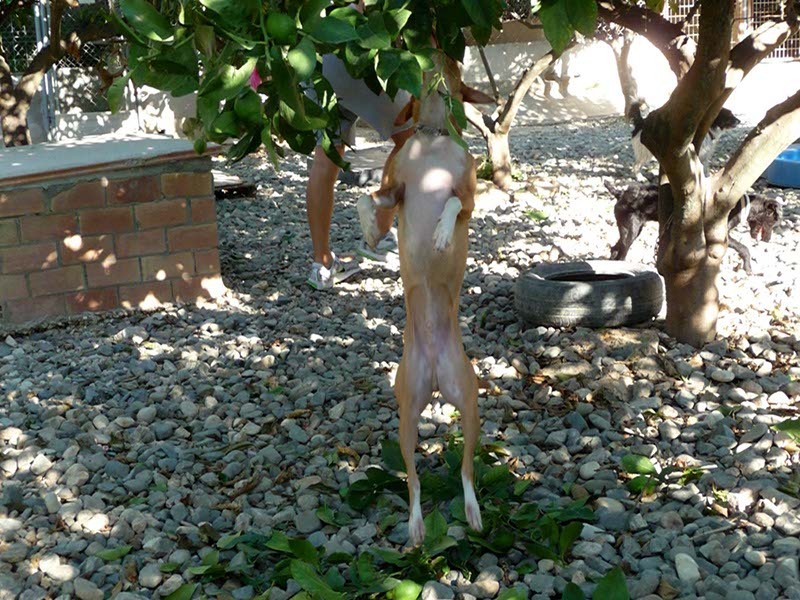 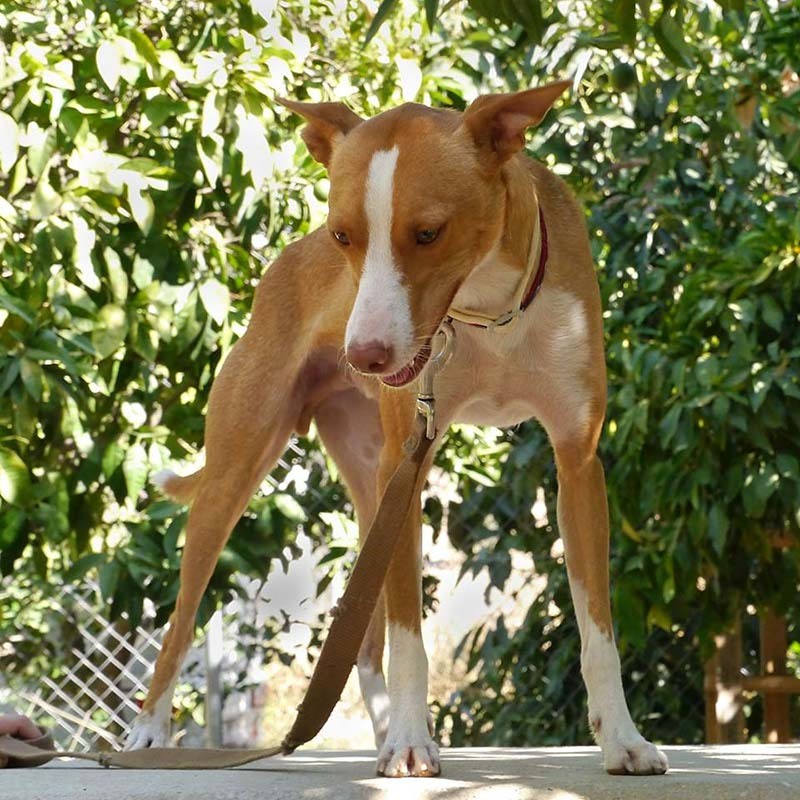 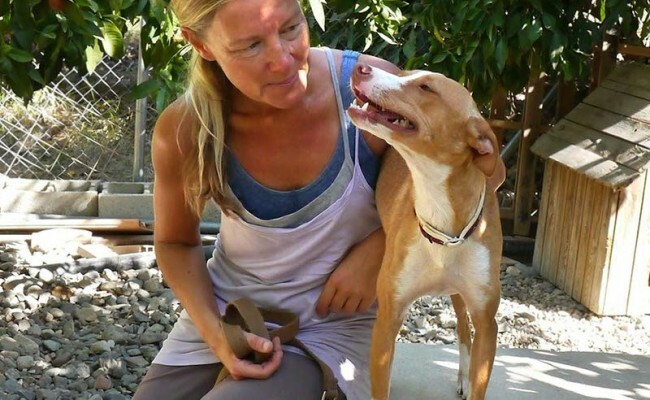 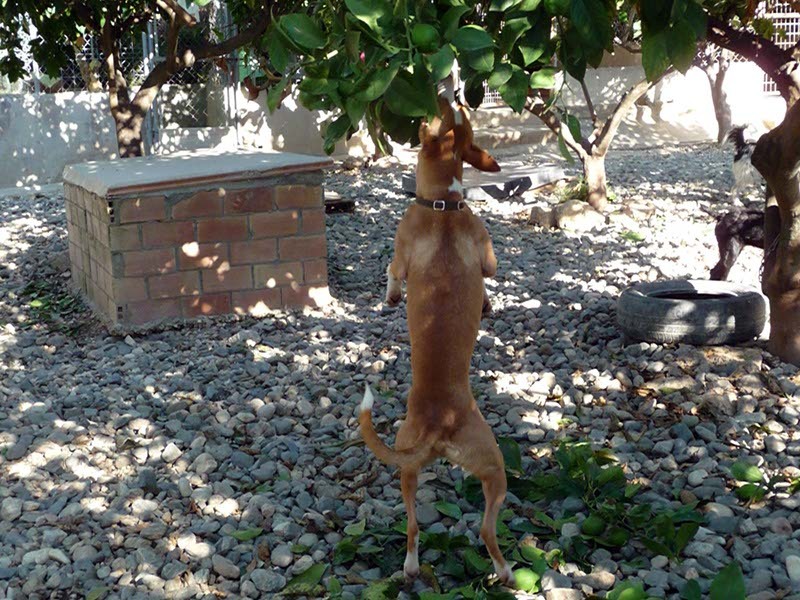 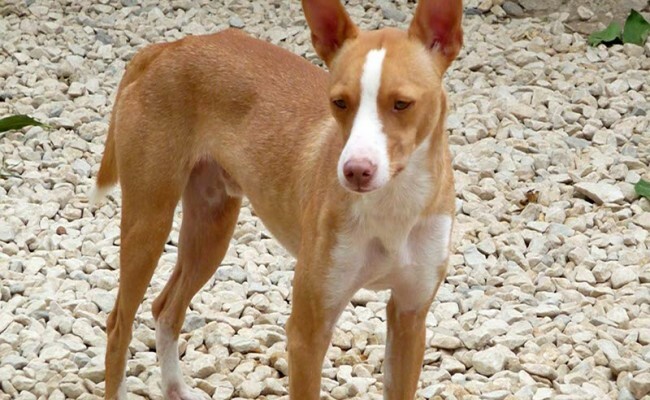 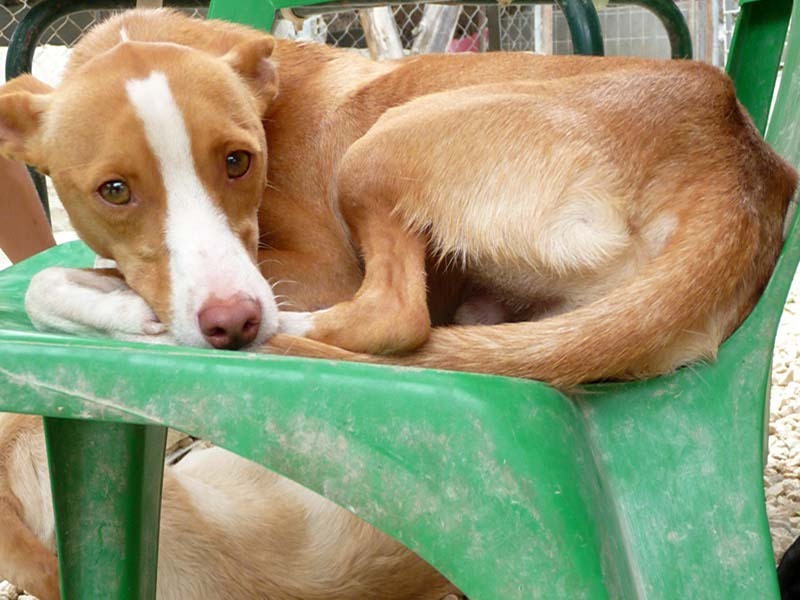 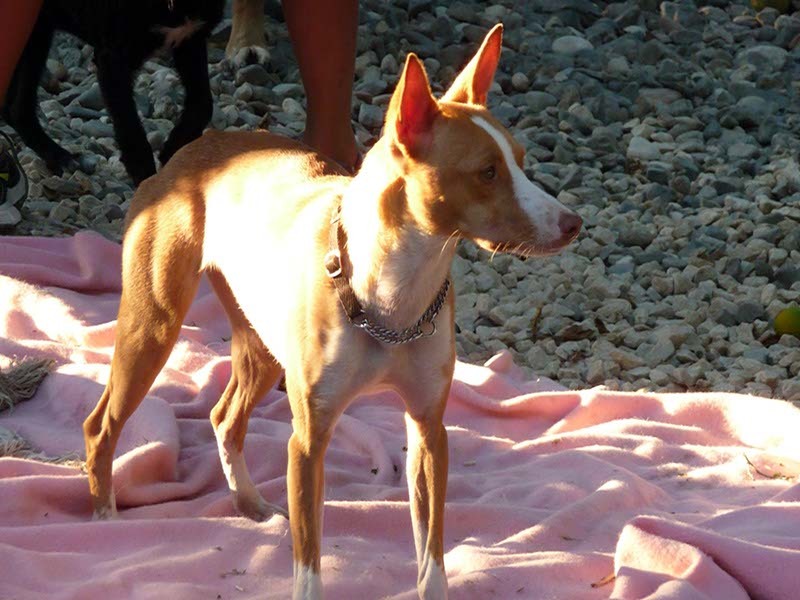 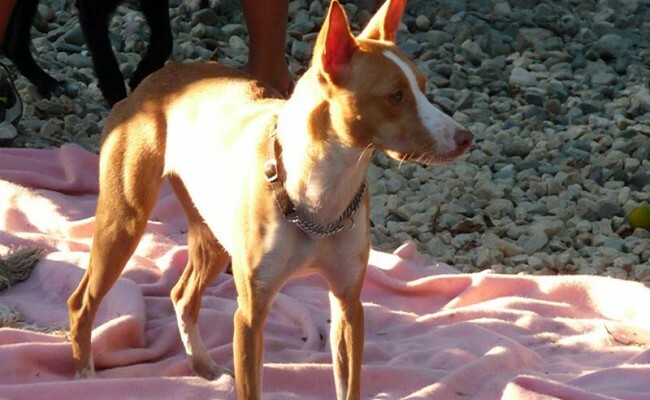 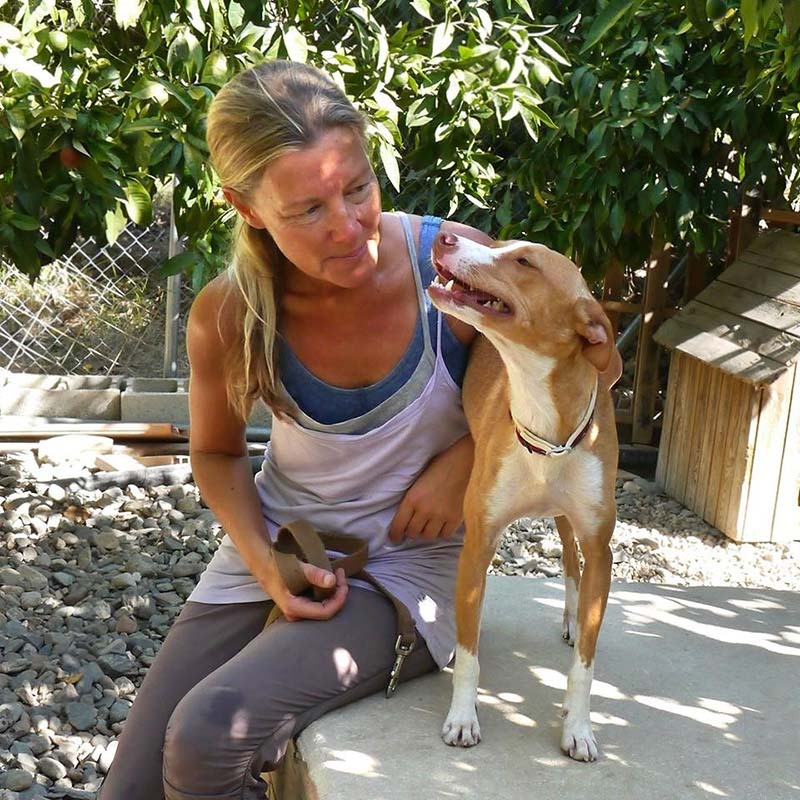 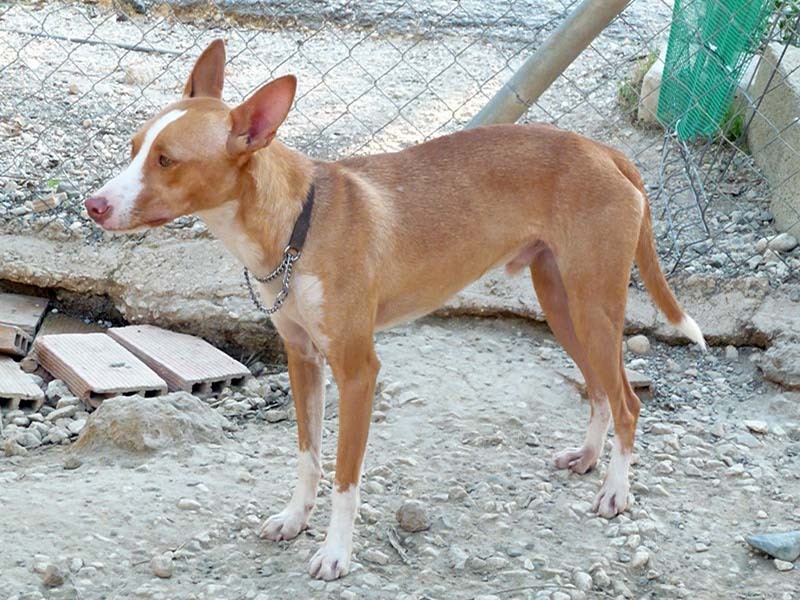 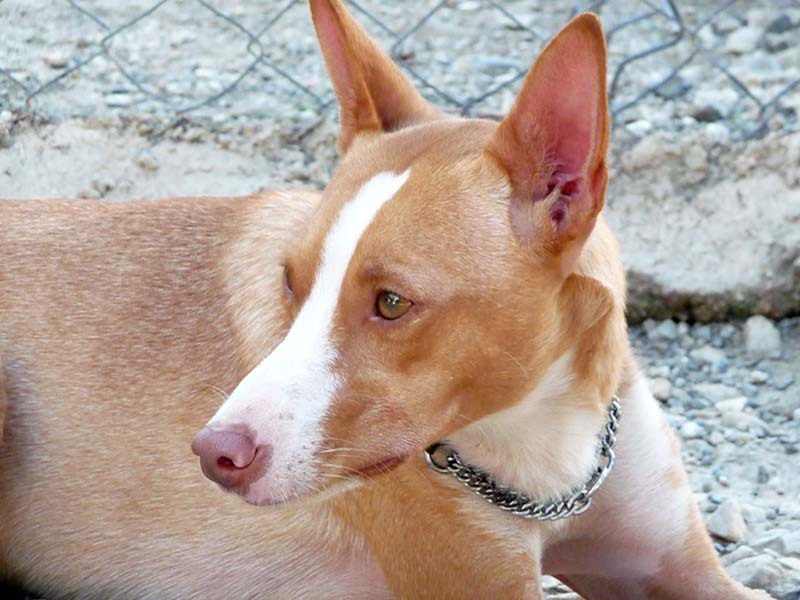 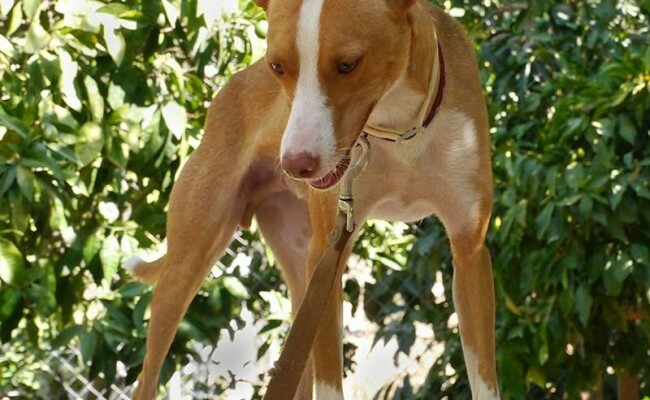 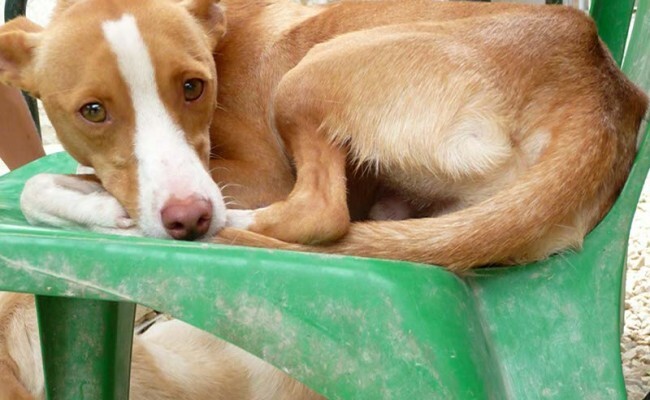 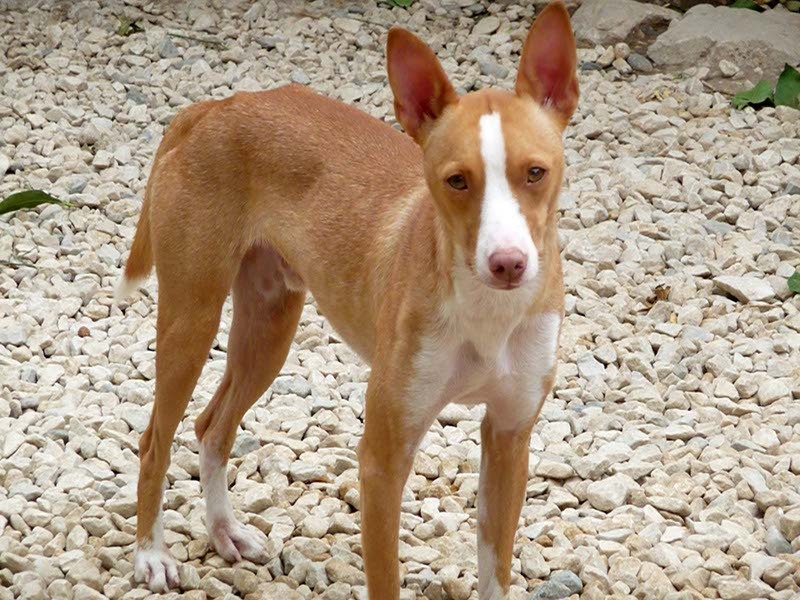 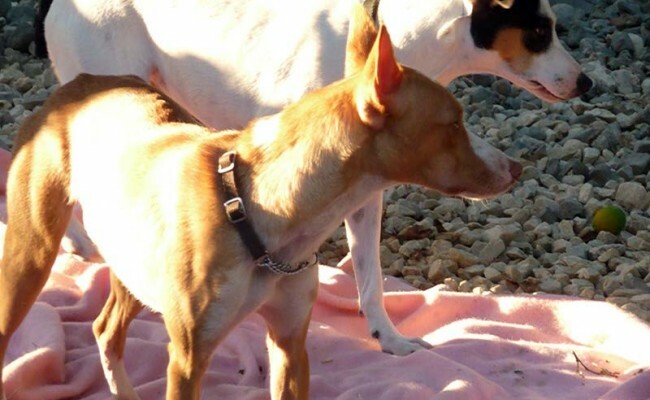 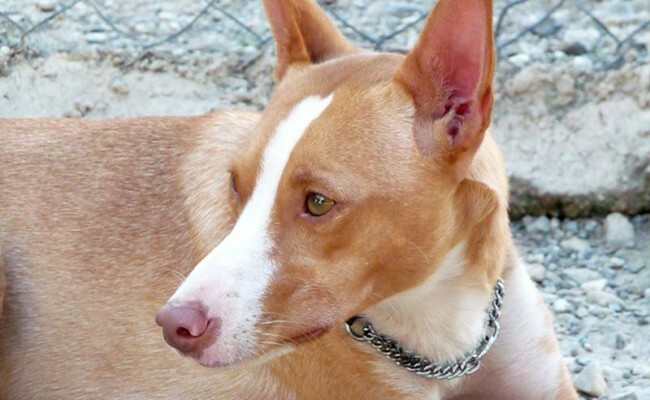 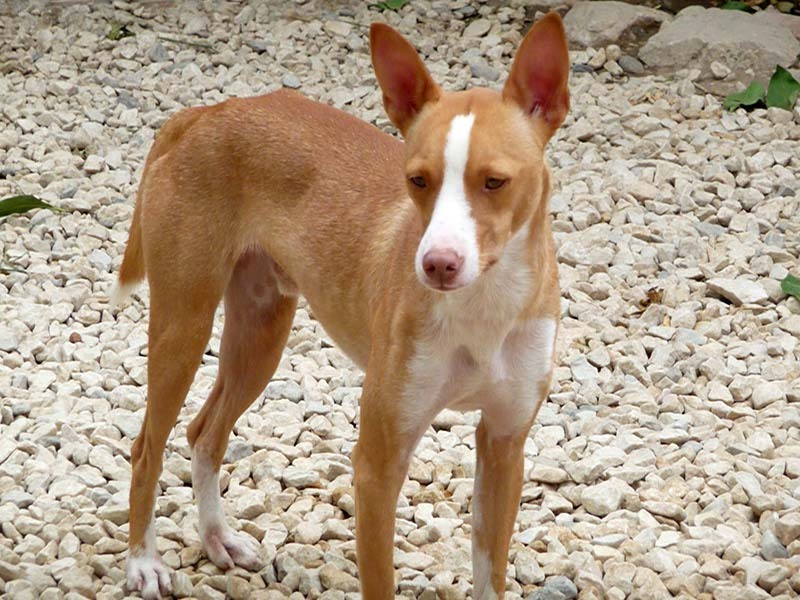 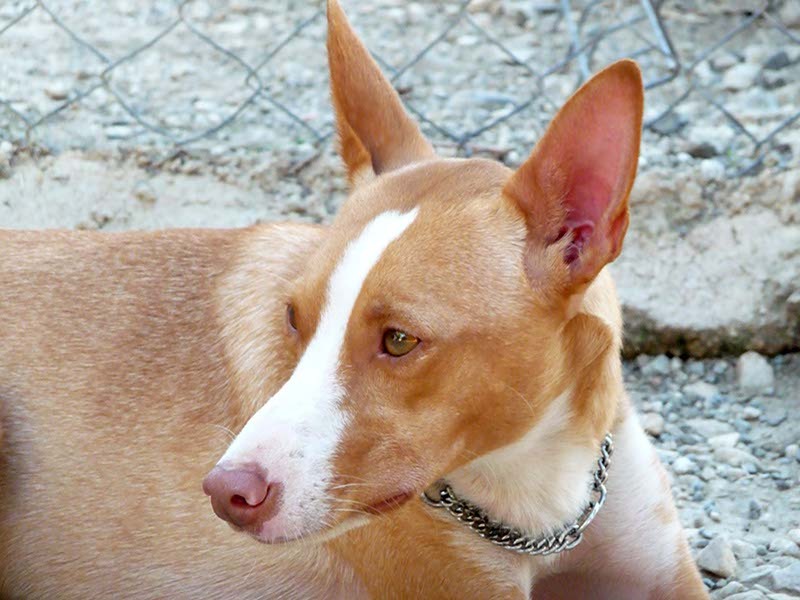 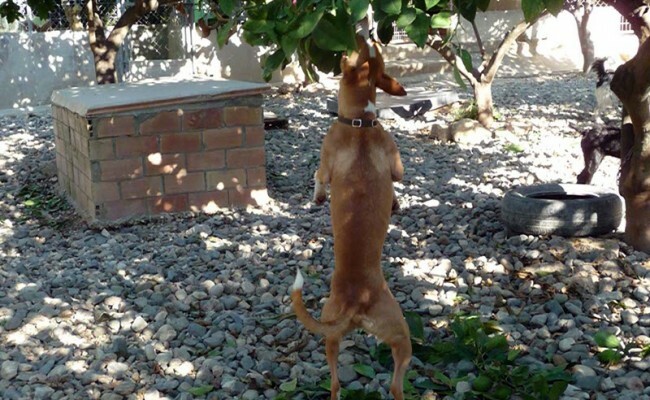 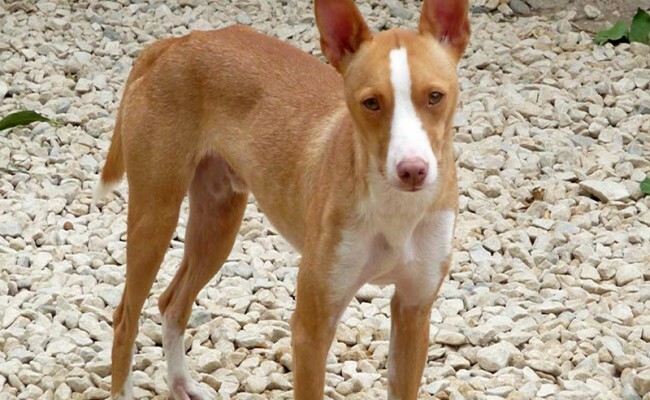 Kiko really does need a very secure garden though as he is an escape artist and a typical strong-willed Podenco that is interested in everything out and about. 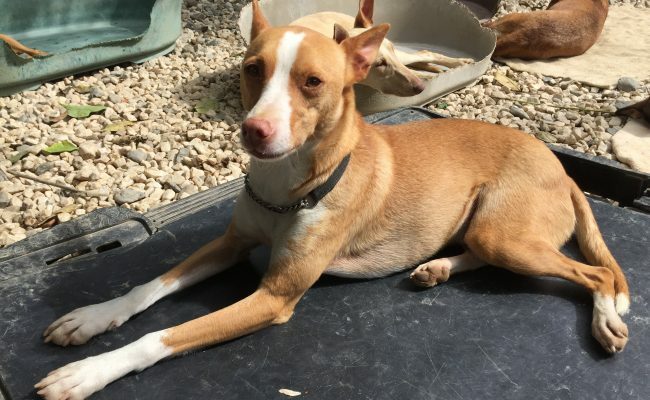 Ideally we really would like a home for him with someoene who has experience of his breed or is happy to learn and put the time and effort in he might need with training. 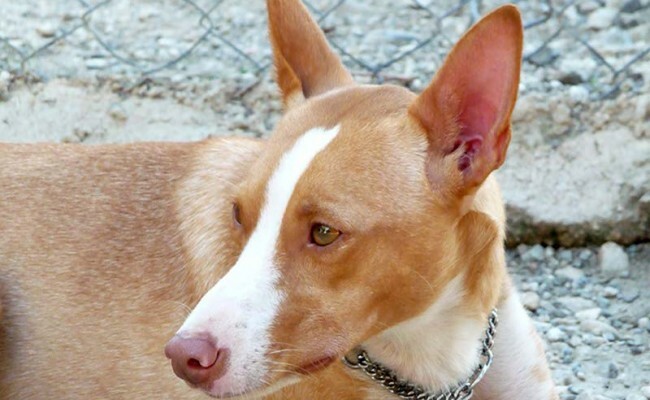 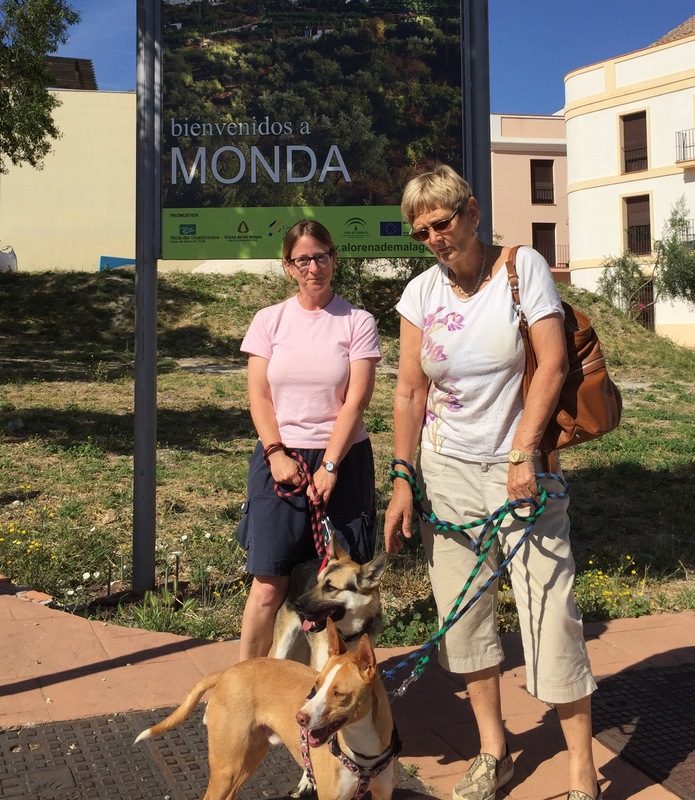 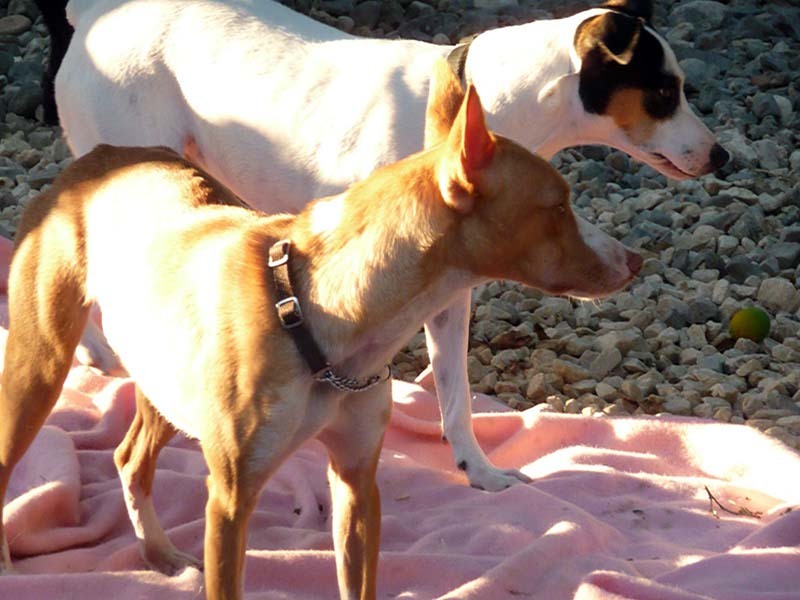 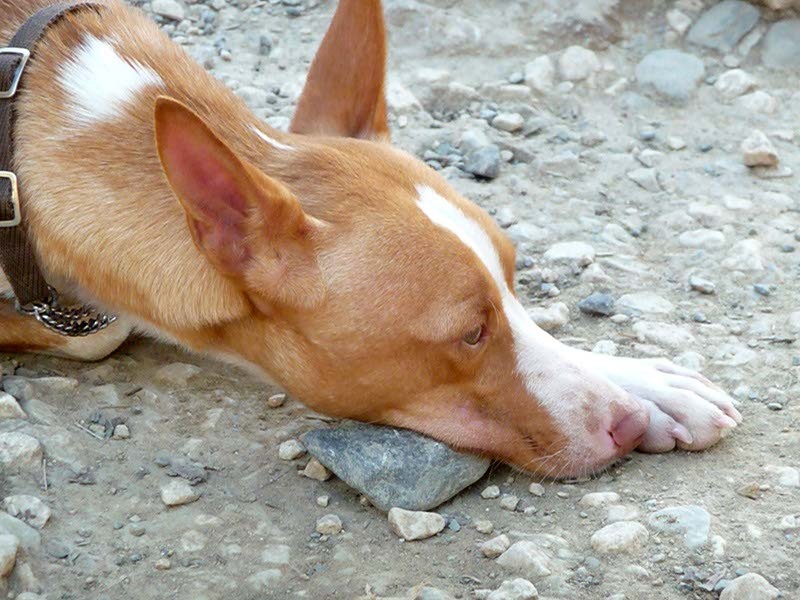 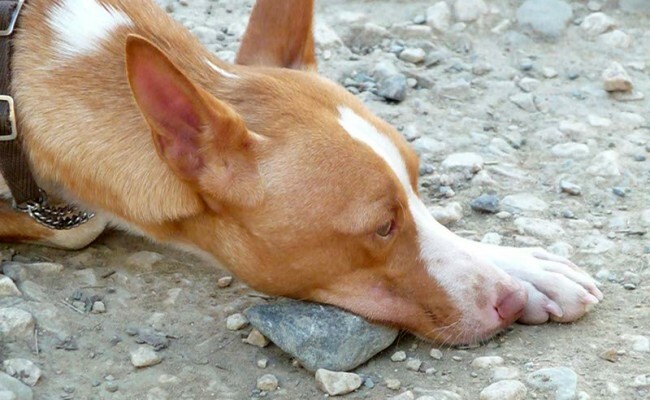 Podencos are really wonderful dogs however their recall can be very selective and often cannot be off lead at all when on walks. 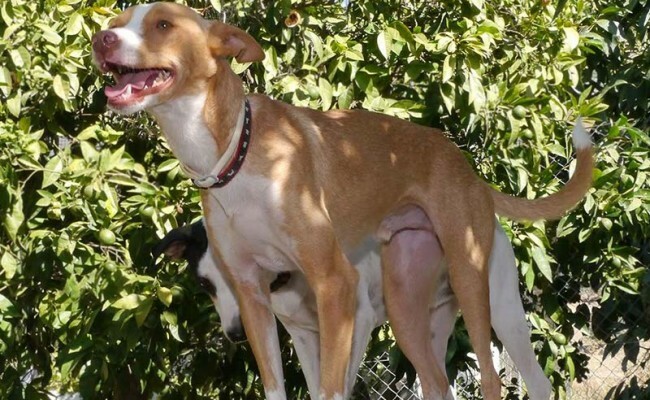 So a home that is willing to give him the exercise and stimulation he needs will be ideal. 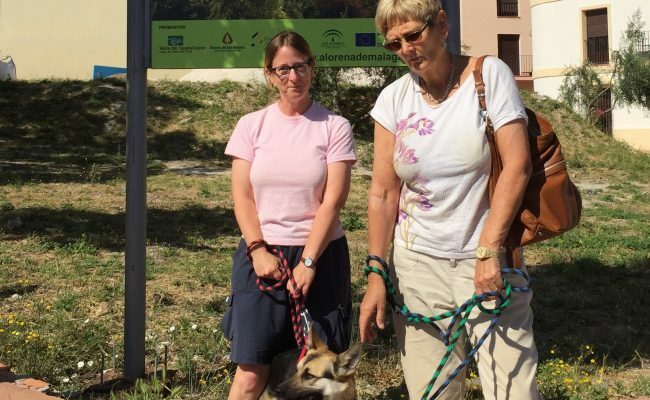 Because Kiko has been in our shelter for so long we recently took him to the local town to see how he would cope with a busy & noisy environment. 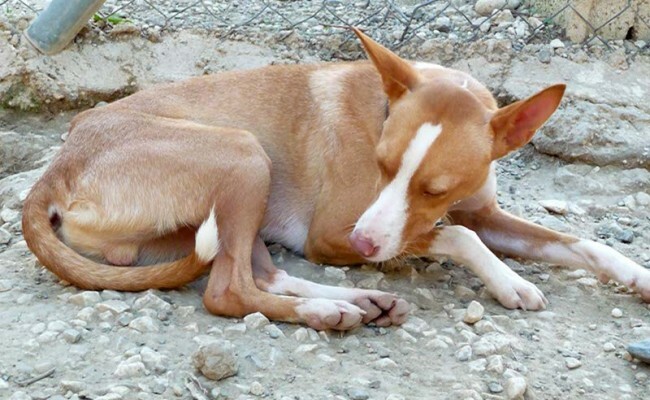 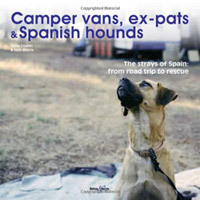 He excelled himself as motorbikes and cars roared past, people passed him in the crowded streets, he met other dogs and lots of people and behaved as if he had done it all his life. 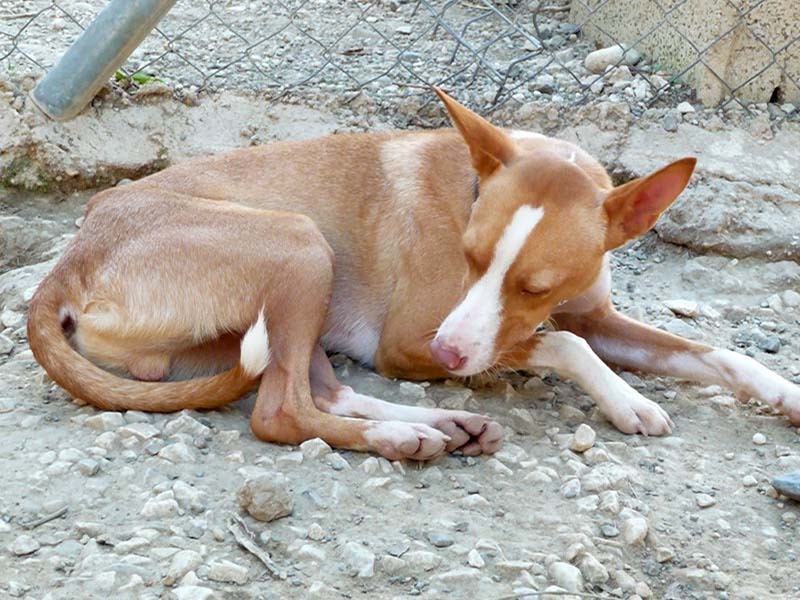 We even introduced him to the local cats which were lurking around the bins, and he took absolutely no notice of them whatsoever. 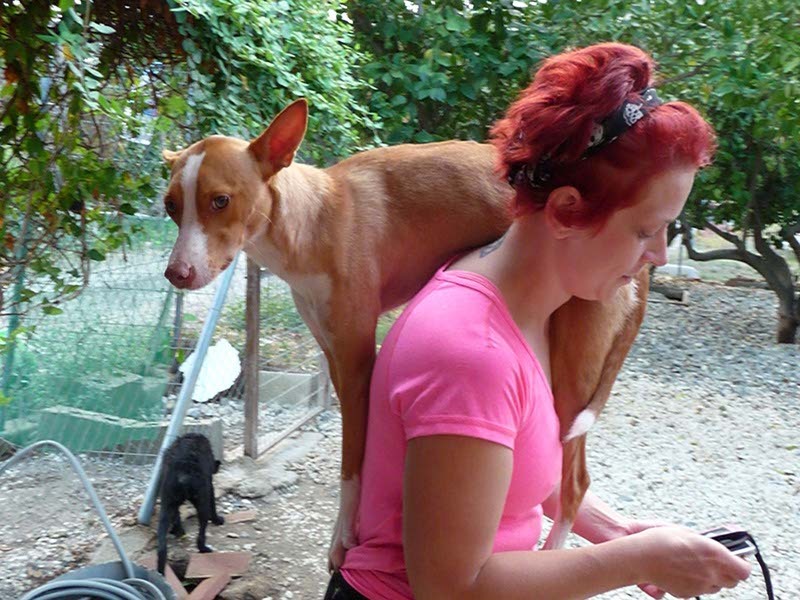 So we are confident he will settle into most environments. 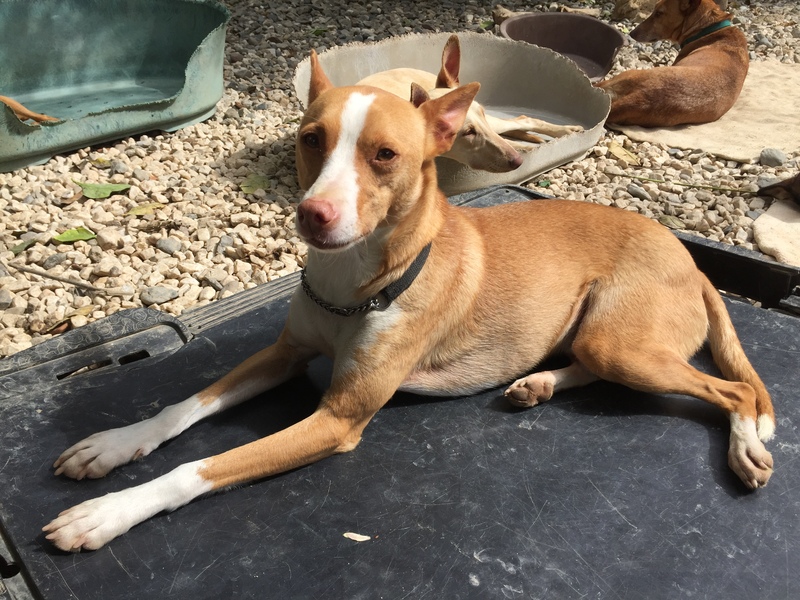 Kiko is a sweet loving dog who has so much to give the right home and is really a lovely little man who just makes you smile. 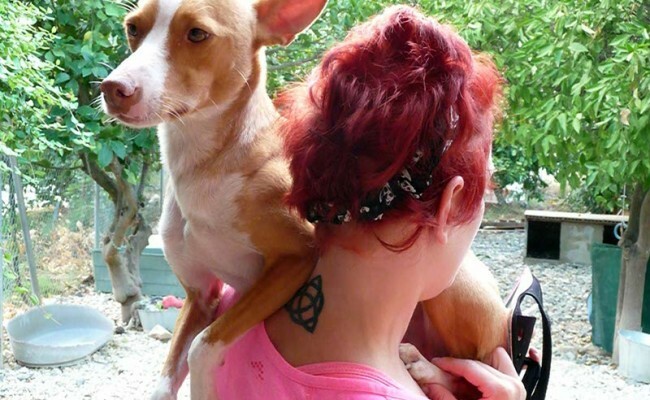 He loves nothing more than to give you lots of cuddles and would love his own forever sofa. 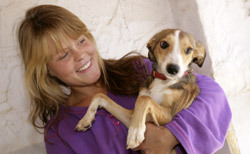 Please do get in touch if you can give Kiko his forever home.